"Whenever Loujain spoke about the torture sessions to my parents, her hands shook uncontrollably. I fear the pain will stay with her forever," Walid Alhathloul wrote in the CNN opinion piece. "My own baby sister said she is being whipped, beaten, electrocuted and harassed on a frequent basis," he wrote. "She said that sometimes there are masked men who wake her up in the middle of the night to shout unimaginable threats." Saudi authorities did not immediately respond to CNN's request for comment on Alhathloul's allegations. Alhathloul then made a plea to Mariah Carey, who takes to the stage in King Abdullah Economic City alongside Sean Paul and DJ Tiesto on Thursday night: "Now that I told you the story of my sister, will Mariah Carey call for her release on stage? Will my voice be heard?" Other activists also urged the American singer to cancel her concert over the allegations of human rights abuse. Egyptian-American journalist Mona Eltahawy tweeted: "Dear Mariah Carey, I hear you're planning on performing in Saudi Arabia. Are you aware that women's rights activists have been detained without charge since May 2018?" CNN is attempting to contact Carey's representatives and will update this story if a response is received. 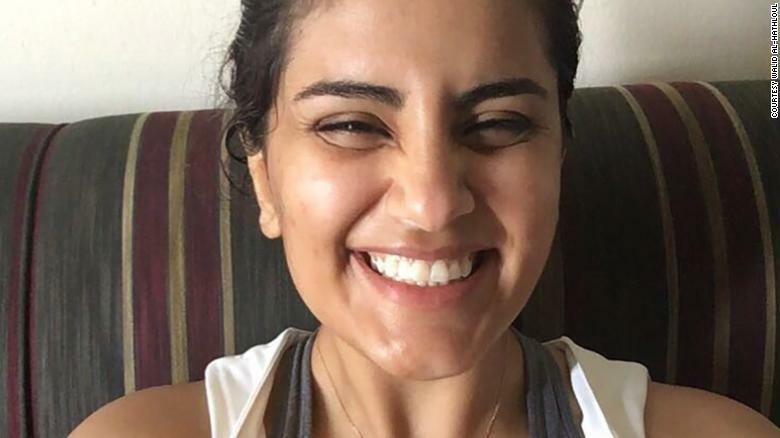 In addition to Loujain Alhathloul, the detainees include prominent women's rights activists Aziza al-Yousef, Eman al-Nafjan, Nouf Abdelaziz, Samar Badawi and Hatoon al-Fassi. The official Saudi Press Agency said the women's rights defenders were accused of "suspicious contact with foreign entities." "The Kingdom of Saudi Arabia's judiciary system does not condone, promote, or allow the use of torture. Anyone, whether male or female, being investigated is going through the standard judiciary process led by the public prosecution while being held for questioning, which does not in any way rely on torture either physical, sexual, or psychological," a Saudi official told CNN in November.